Lexus USA has announced the NX 300 F SPORT Black Line edition, bringing a new appearance package and one major upgrade to the crossover. Outside, the standard NX F SPORT is upgraded with forged 19-inch chrome wheels and a printed carbon fiber graphic along the doors. Three colors will be available: Ultra White, Obsidian and Atomic Silver. The interior is outfitted with two-tone F SPORT Arctic White and Black NuLuxe sport seats, a black headliner, unique floor mats, cargo mat, and matching key gloves. A photo of the interior was not shared. But the centerpiece is the stereo — a Mark Levinson 14-speaker, 835-watt audio system is available on the crossover for the first time, and will be exclusive to this package. 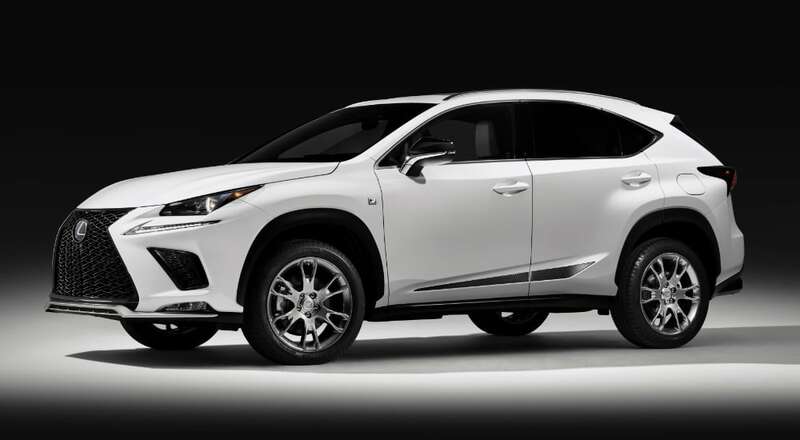 The NX F SPORT Black Line will be limited to 1,000 units when it starts arriving at dealerships in February. The front-drive version will retail for $49,600, with all-wheel drive bumping the cost to $51,000 including destination charges.